Selfies have become an accepted social practice and so engrained in our culture that the term itself was named the Oxford Dictionary’s “word of the year” in 2013. 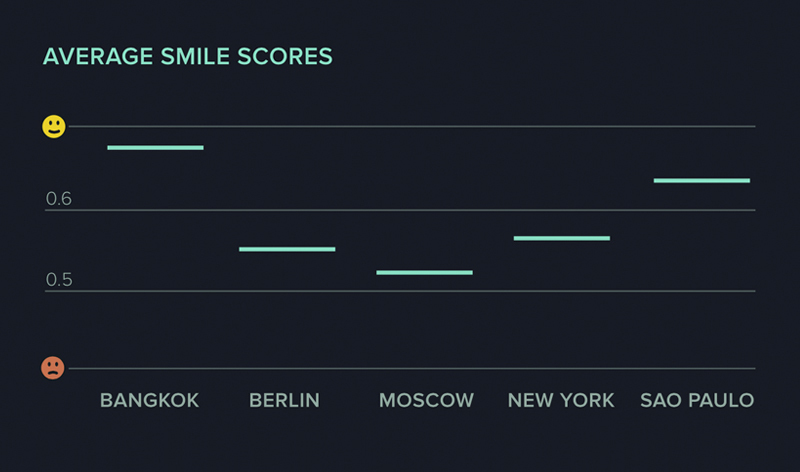 SelfieCity investigates the visual style of this cultural phenomenon across five global cities using a mix of theoretical, artistic, and quantitative methods. 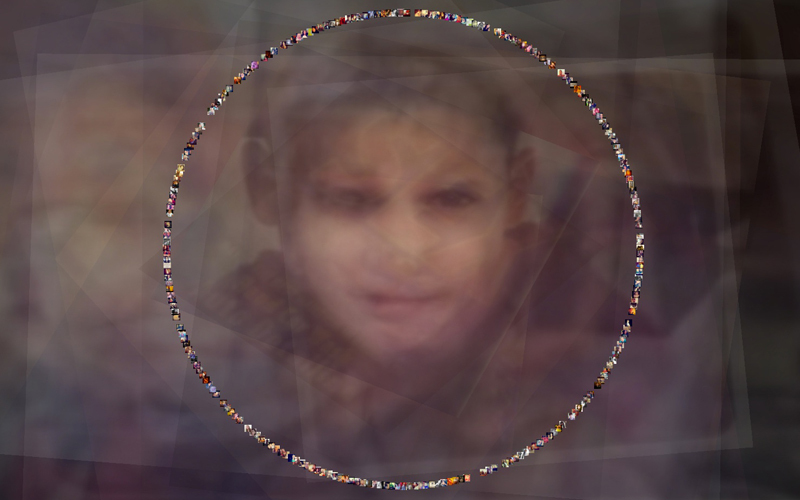 The project makes use of interactive image explorations to expose the sheer diversity of those who take selfies as well as their individual poses and expressions, while also juxtaposing thousands of photos in rich media visualizations to reveal interesting patterns. Complementing this visual investigation, theoretical essays discuss selfies in the context of historical photography, the functions of images in social media, as well as methods and datasets. Most of all, Selfiecity explores whether the currently held view of selfies – as contemporary visual phenomenon of narcissistic exposure – is an accurate representation or whether today’s self-portraits are actually more multi-layered and -faceted than generally assumed. The project started out with a period of data discovery, analyzing thousands of Instagram images from a variety of angles to get a feeling for the data and its quality as raw material. After exploring these initial directions, we decided to focus on the selfie phenomenon – and Instagram’s knack for capturing humans in the moment. 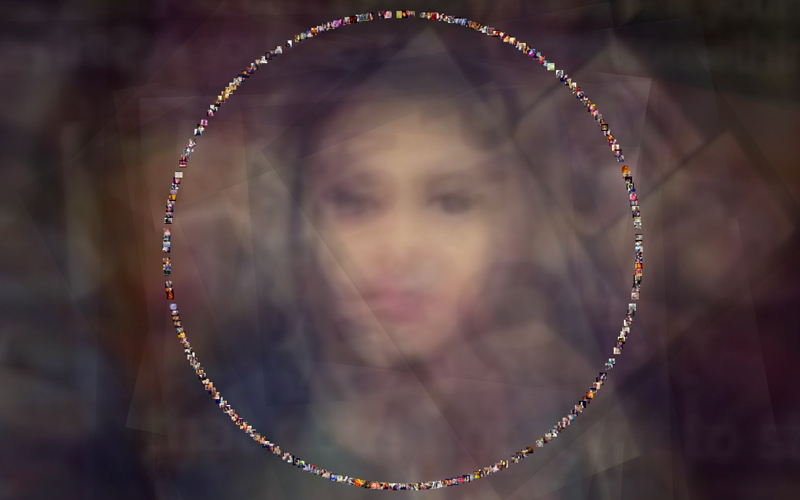 Combining several automatic and manual approaches, from data collection service Gnip and Amazon’s Mechanical Turk to facial recognition software, the team dissected and distilled 3,200 selfies from five global metropolises: Berlin, New York, Tokyo, Moscow, and Sao Paolo. As one of the initial ideas, we pursued the idea of blending a city’s portraits into eachother to explore the average look of a city or neighborhood. Focusing on the emotional moments and stories hidden in the pictures and presentations, on the complexity of their context and the emotions found in facial expressions, promised more rewarding results. By treating each selfie as a valuable dataset, the original data remain intact and accessible while still providing the opportunity for more general insights gleaned from deliberate data aggregation. The final project combines artistic visualizations, interactive exploration tools, and theoretical essays that couch the contemporary phenomenon in the broader context of self-portrayal and self-photography. Using large scale image plots, the project assembles hundreds of images into interactive impressions and opportunities for exploring each city and its inhabitants. 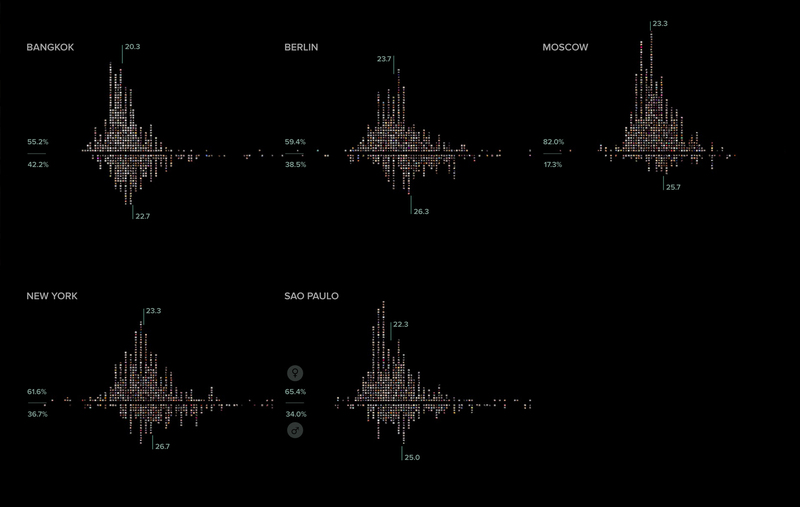 In these image plots, different approaches and analyses present viewers with the unique demographic characteristics and specifics of five different global cities while the Selfie Exploratory allows users to take a deeper, interactive look at the individual images – and even filter them by facial expression, age, gender, or mood. 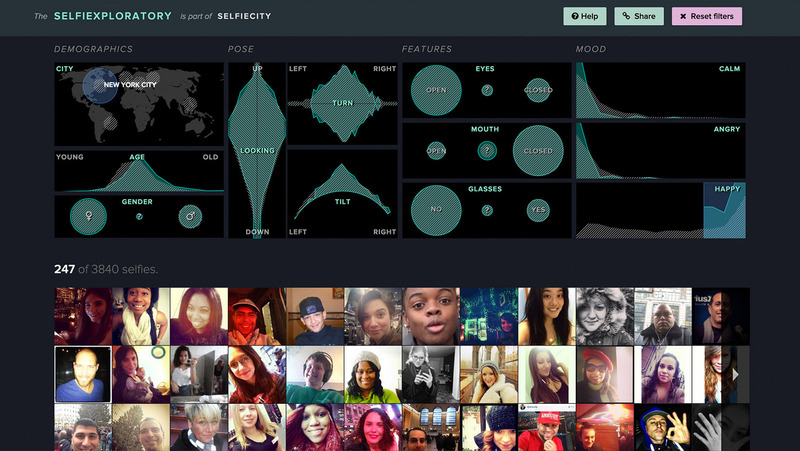 Despite the relatively small data set size of only 3,200 selfies – compared to the millions of data points usually associated with “big data” – Selfiecity ensures that each data point remains intact, enabling users to filter the results by a wide range of smart, independent, or connected criteria that yield deeper insights than the average abstract or self-contained data set. 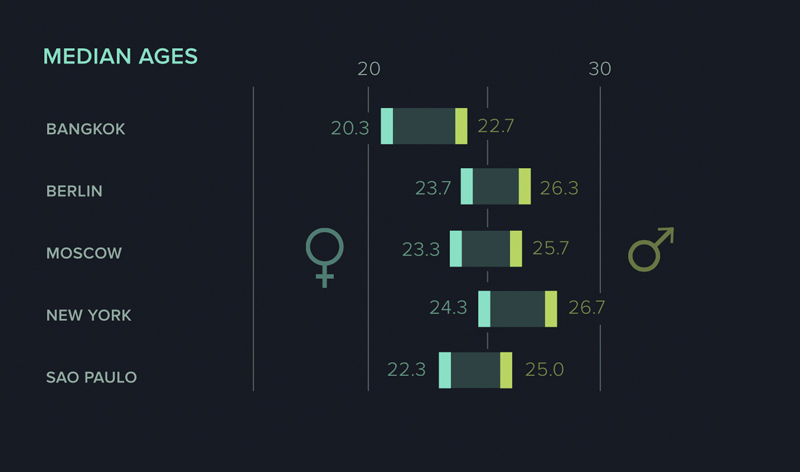 Some of the results are quite surprising: Selfie-takers in Bangkok and Sao Paulo, for example, tend to smile a lot more often than those in other cities and women take far more selfies – and selfies with expressive poses – than men. At the same time, our research also revealed that selfies are not quite the ubiquitous phenomenon they are said to be: Although results varied by city, only three to five percent of all images surveyed by the study turned out to be selfie photographs. Featured in numerous global publications and exhibitions, the project has also won the 2014 “Information is Beautiful” award. Selfiecity takes a look beyond the hype of endless mirror poses to reveal the humanity and emotional depth captured in the fleeting moment of a selfie.